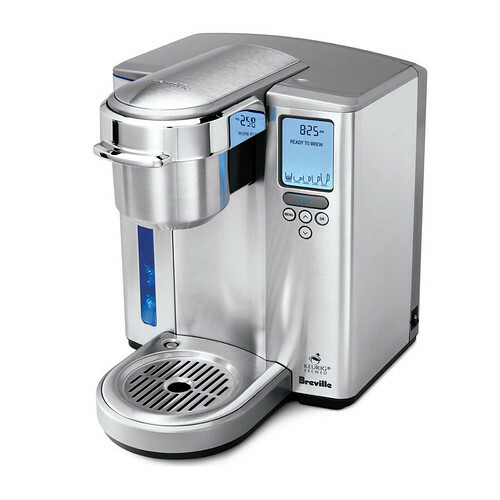 The Breville Gourmet Single Cup Brewer™ — the stainless steel single-serve coffee brewer with built-in water filtration. Discover the pure enjoyment and ease of the Keurig single-serve coffee system with over 200 choices of K-Cup® available. Featuring Keurig’s patented brewing technology, the innovative shower head delivers the precise amount of water at the perfect temperature for balanced flavor. Use the included My K-Cup® filter for a choice of any coffee roast. A. Water Tank Lid. B. 60oz. (1.8L) Water tank. 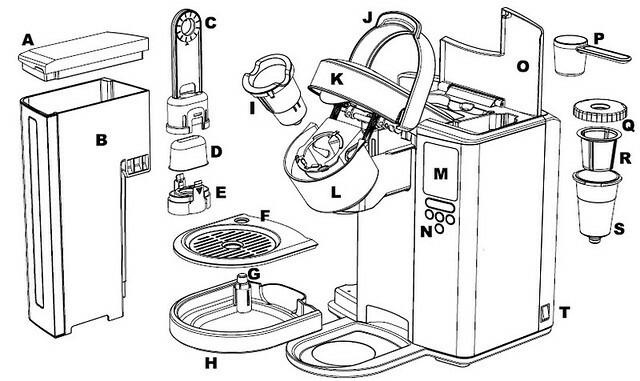 C. Upper Filter Holder. D. Replaceable water filter. E. Lower filter holder. F. Drip tray plate. G. Drip tray level indicator. H. Drip tray. I. K-Cup® holder. J. Safety locking arm. K. Brewing chamber head. L. Brewing chamber. O. My K-Cup® / K-Cup® Storage. P. My K-Cup® measuring scoop. Q. My K-Cup® lid. R. My K-Cup® Filter Basket. S. My K-Cup® holder. T. Power Switch.